There is no rule stating that you can’t make a big deal out of STAYING IN instead of going out! 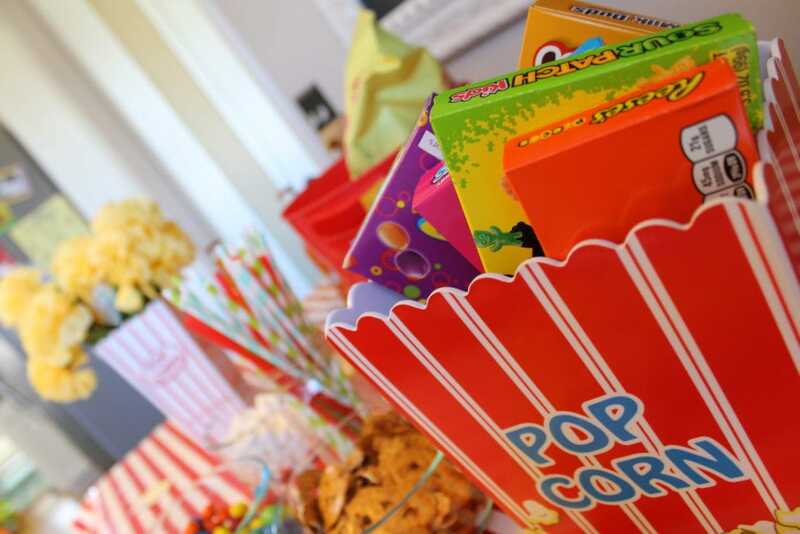 As much fun as it is to enjoy a good movie on the big screen, it might cost you your first child’s college fund for tickets and snacks for the family! YIKES! 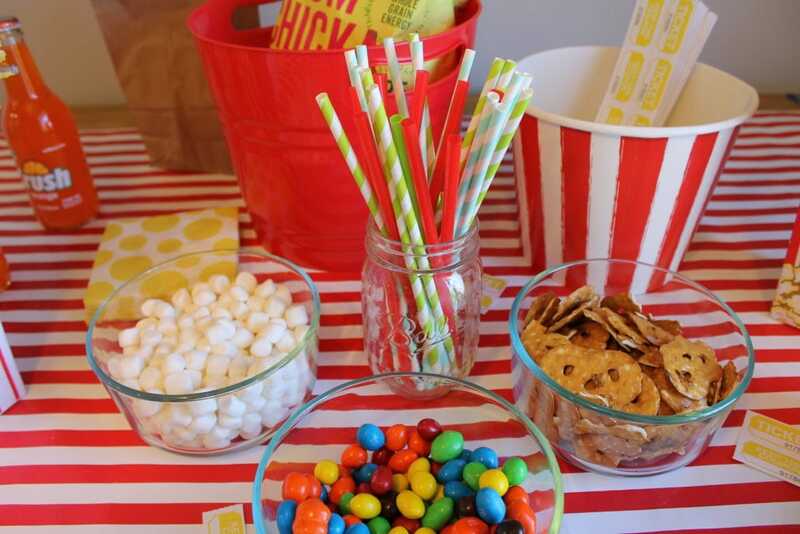 Everything for this Popcorn Party & Movie Night are items we ALREADY HAD at the house! 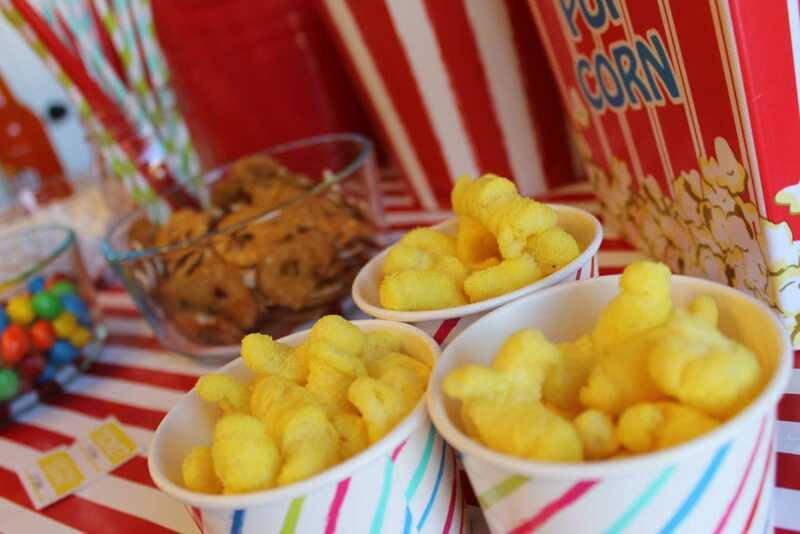 Here are some of my Popcorn Party Secrets! The popcorn bins I got on Clearance at Hobby Lobby. 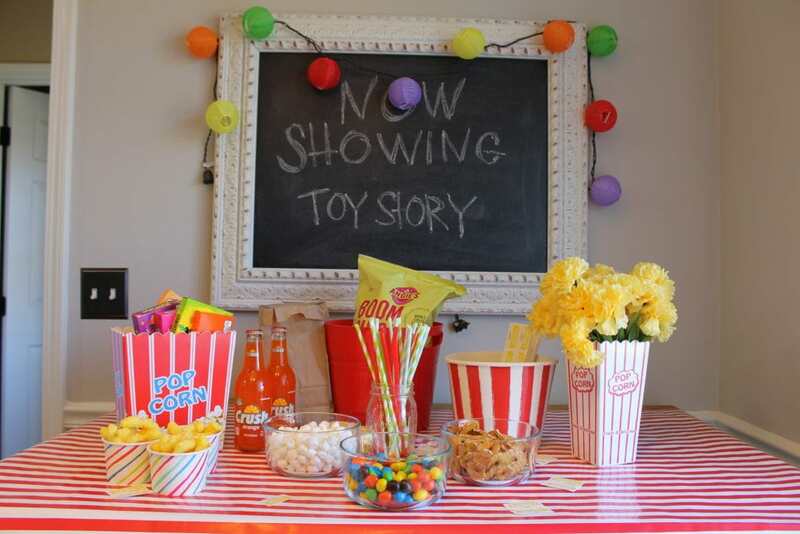 They are that hard plastic reusable material, so you can pull them out and use as part of your Popcorn Party tradition! If you can’t find these plastic ones, they usually have the cute paper bag ones in the popcorn section at the grocery store! I mixed up some straws that I already had in movie theme colors. I also found these little raffle tickets that could totally double as Movie Stubs! I don’t know why carnations get a bad rap, look at these beauties! 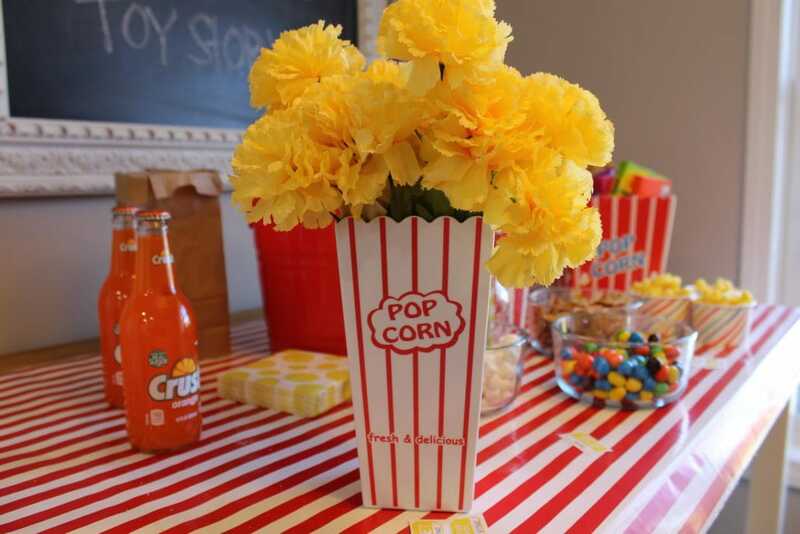 What a perfect centerpiece or addition to our Popcorn theme decor! Highlight the title of your Feature Film for the evening! #live Themed Popcorn Party!!! Join me for the details.